Superb greens! Welcoming atmosphere! 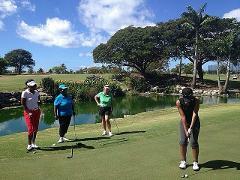 Golfers of all abilities are sure to have a challenging, yet enjoyable day out. 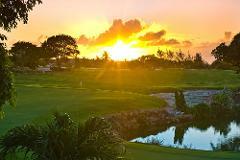 For those who find the day too hot to play, might we suggest the Twilight round. 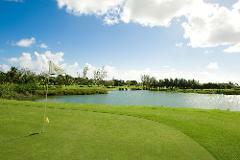 Playing a round of nine holes or more is completely feasible from 3 pm onward whilst accessing our great Twilight price. 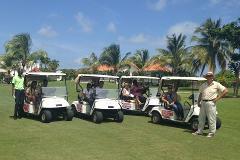 Green fee includes the use of a cart. Club and shoe rentals fees are additional. 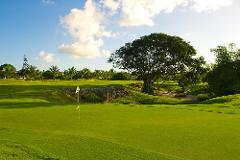 The Barbados Golf Club golf course was reopened in 2000 after a period of reconstruction to the environmentally sensitive design specifications of Ron Kirby, one of the most respected and experienced golf course architects in the world.